Many problems of morality studied English philosopher Francis Bacon, who dedicated this issue some of their work “experience or teaching moral and political”, which is in itself an essay on ethical and socio-political issues and “Experiments and learning”, which consists of his short essay in which the philosopher puts their consideration of morality and politics. Francis Bacon wrote about death and human nature, and favor his views, good nature and kindness, habits and education, manners and morals, love and happiness, friendship, cunning, hypocrisy, vanity, envy and so on. Almost all of the above phenomena wrote a separate essay, there are a total 58. 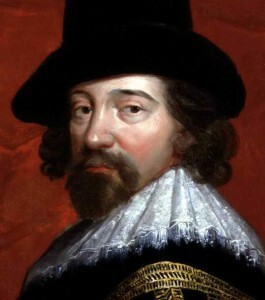 Francis Bacon is one of the founders concept of natural essence of morality. The subject of the study of ethics philosopher considered the will of man, which directs and organizes his mind, it triggers the emotions. – Public benefit that makes part of another object, the whole. The desire to meet the public, with personal convictions, is important because it is oriented to maintain the overall shape, which is especially clearly manifested in the ways of people to each other. In addition, Francis Bacon to substantiate the the benefits of active on passive usefully benefit benefits, improvement of self-preservation. In this sense, it is impossible to compare, for example, meet the aspirations of performance and meaningful things with a sense of pleasure from eating, sleeping, fun entertainment. Philosopher was sure about the theory of benefit, its nature, extent and type should complement other teachings on moral education of the human soul. According to this ethics should form some rules and principles that have served to attract good people, moral culture formation and elucidation of their ways and methods of moral education. The main categories in the understanding of public benefit Francis Bacon defined the “duty” which is manifested in human kindness to people around them, in certain duties related to professional activities and the human condition. Of particular importance, he sold education in the human kindness of her altruistic (unselfish) start in it. The very theory of the ideal image or benefit and is the first major teaching ethics. It should include a best achievements of ancient ethical thought – the Platonic research forms, relationships, and importance of different types of virtues and duties Aristotle division of benefits on mental, physical and external, most raise the question of the relative value of the active and contemplative life, and triumphant oppressed virtue of the contradiction between the moral and helpful. Francis pays tribute to Bacon and Christian writers – their study and definition of the concepts of good and evil, conscience and sin. However, in previous ethics is not enough attention was drawn to the very roots of our moral ideas, sources of morality, on the grounds of moral axioms. And then, to justify their ethical views, philosopher resorted to their “naturalization”. In the work “On the dignity and enhancement of Sciences” find such typical representation and figures considerations. He stayed around first philosopher of nature. “Iron is attracted to a magnet because of some sympathy, and if a piece of iron will be somewhat difficult, it immediately he right away forgets about their sympathy and as a decent citizen loving homeland, reaches the Earth. By region, where the living and all his relatives … So, maintaining a more general form subjects almost always a less significant aspirations. This entry was posted in Ethical and tagged Ethics, philosophy on 20/02/2017 by Mary.